Our greatest commitment is to provide an affordable and professional home care service and understand the different needs of our clients to help them maintain a level of independence and improve their quality of life at home. 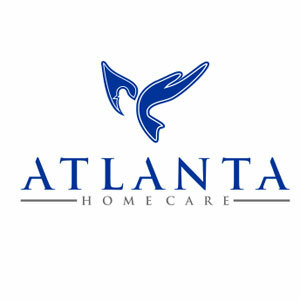 Atlanta Home Care is an affordable, but quality solution for the elderly who prefer to stay at home where their condition is enhanced without the stress and hardships of interrupted routines and changes in daily habits. We believe that these individuals deserve to have a comfortable, fuller life as they go through the aging process. Our part-time, full-time, and around-the-clock service alternatives are designed for people who choose to live independently but require non-medical services. Each of our home care programs is tailored to our patient’s health requirements and preferences to ensure that we are able to address their every need. Our certified caregivers are fully trained and capable of giving the right level of care and assistance to the elderly to help them maintain an improved way of life and independence at home during their golden years. To assure that we are equipped with quality staff members, we have performed a series of background inquiries and interviews during our hiring process. We also regularly provide our workforce with training and evaluation to ensure that we are able to deliver the most up-to-date standards, principles, and techniques in home care. Sometimes, more than just a companionship is needed to maintain independence and overall well-being at home. So, if the services of a designated healthcare professional are required such as a registered nurse, we can assign one for our patients. The services may include foot care, medication management, Alzheimer’s care, diabetic management, and blood tests. Atlanta Home Care stands out from the rest of the competition as most are in the broader medical care industry as opposed to the specific industry of senior care.